06.02.17 :: Categories: Contaminated Sites. Tags: PCBs. News Types: Press Releases. Capital Region/Hudson Valley — A technical report by the U.S. Environmental Protection Agency’s Region 2 Office released today on the Hudson River PCB dredging project discounts scientific data presented by New York State, the National Oceanic and Atmospheric Administration (NOAA) and the U.S. Fish and Wildlife Service (FWS). The review ignores the fact that PCBs remain widespread and pervasive throughout the river and that there will be thousands more pounds of contamination left behind than originally estimated, according to leading environmental groups. While acknowledging the need for more investigation in the Lower Hudson River, the conclusion of the report (the “Second Five Year Review” of the project) ignores the failure of the cleanup to meet health and safety targets established by the EPA when it selected the dredging project for the Upper Hudson. The EPA’s assumption that the completed upriver remediation “will be protective” at some unknown time in the future abandons the most important goals of the cleanup—reducing high levels of toxic PCBs in fish so they are safe to eat, and reducing PCBs in water and river-bottom sediment to safe levels. A February 2016 peer-reviewed, scientific analysis by the EPA’s sister federal agency—NOAA—determined that without more dredging, the Hudson will take generations longer to recover from the millions of pounds of toxic PCBs that GE dumped in the river. Similar concerns and recommendations were raised by New York State in its December 2016 review of the cleanup, in which it concluded that “the remedy is not protective of human health and the environment.” By coming to the opposite conclusion, EPA dismisses the state’s expertise and important interest as the natural resource manager for the Hudson River. 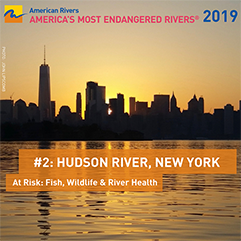 The simple fact is that the Hudson River remains contaminated with unsafe levels of PCBs, and at present trajectory residents of riverfront communities will continue to face significant health and economic impacts well into the 22nd century. Advisories against eating fish—including a warning that women of childbearing age and children eat no fish at all—will remain in place indefinitely. “We have been calling for a more robust cleanup of the Upper Hudson for almost a decade now. The river deserves a thorough five-year review, which takes all the evidence into consideration to ensure the best results. EPA’s rushed determination of ‘protectiveness’ does not bode well for the Hudson. It will cause significant delays in the river’s recovery, as well as impacting human health and economic development,” said Hudson River Sloop Clearwater Environmental Action Director Manna Jo Greene. Hudson River Sloop Clearwater is a nonprofit, grassroots environmental organization whose mission is to inspire, educate, and activate the next generation of environmental leaders. Founded by music legend and activist Pete Seeger, the organization set sail in 1969 with the launch of the sloop Clearwater, a 106-foot heritage vessel created to carry the environmental message up and down the Hudson River. Today, with diverse scientific and educational programs, environmental action, green job-building and sustainable river cities initiatives, Clearwater continues Pete Seeger’s legacy as America’s environmental flagship organization. The Hudson River Fishermen’s Association is a group of recreational fishermen who make active use of the N.Y. Bight and the surrounding water system and are concerned with the present and future state of these fisheries. Our objectives are to encourage the responsible use of aquatic resources and protection of habitat. We assist where possible in efforts to abate pollution and promote sportfishing and the management of that recreation. We are an IRS recognized nonprofit 501c3 organization. The Natural Resources Defense Council (NRDC) is an international nonprofit environmental organization with more than 2 million members and online activists. Since 1970, our lawyers, scientists, and other environmental specialists have worked to protect the world’s natural resources, public health, and the environment. NRDC has offices in New York City, Washington, D.C., Los Angeles, San Francisco, Chicago, Bozeman, Montana, and Beijing. Riverkeeper is a member-supported watchdog organization dedicated to defending the Hudson River and its tributaries and protecting the drinking water supply of nine million New York City and Hudson Valley residents. 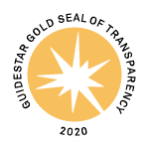 Riverkeeper has helped to establish globally recognized standards for waterway and watershed protection and serves as the model for the growing Waterkeeper movement that includes more than 300 Keeper programs around the globe. Sierra Club, founded by legendary conservationist John Muir in 1892, is now one of the nation’s largest and most influential grassroots environmental organization—with three million members and supporters. Our successes range from protecting millions of acres of wilderness to helping pass the Clean Air Act, Clean Water Act and Endangered Species Act. The Sierra Club Atlantic Chapter is a volunteer-led environmental organization of 48,000 members statewide dedicated to protecting New York’s air, water and remaining wild places.